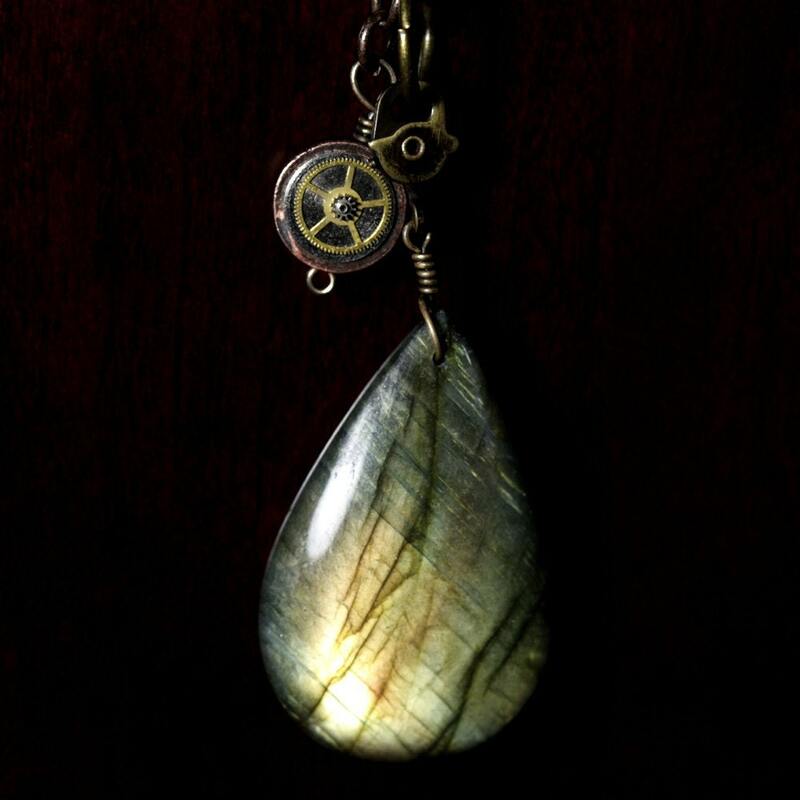 I have been looking for super flashy labradorite for Months and I'm very happy to make new steampunk jewelry including these magnificent stones . I bought it from 7 different suppliers and found only 1 that had some very flashy beads . The iridescence or play of colors i called labradorescence . Those with good flash are the hardest to find and most desired for jewelry. Unfortunately my supplier only had one strand so i only have very limited supplies . 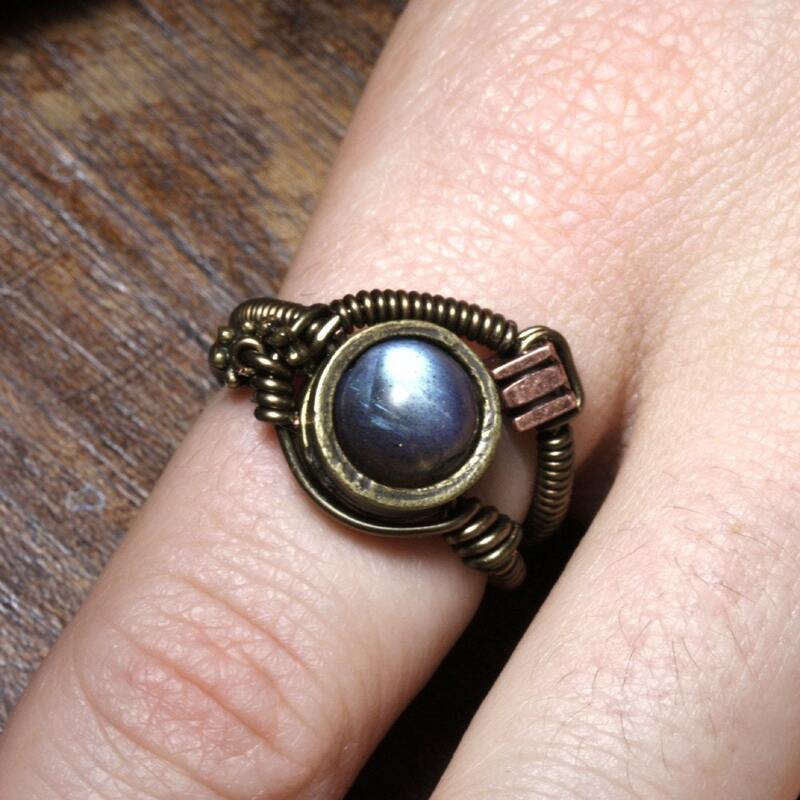 The ring has a bluish flash and the pendant has a nice deep golden color . I also have a few golden and greenish one that i can make rings with . absolutely inspirational - great jewellery! I love this style very much. No words to describe the beauty. May be India is the market too. I just stumbled across your work while surfing through blogger, and I gotta say, it's amazing! I'm in love with your rings! So cool. Wow, I love that ring. My wedding ring is made with a giant luminous labradorite - my favorite stone. And these, especially the pendant - are astonishingly gorgeous!